The Stark Raving Viking: Are most US politicians douchebags, especially Lindsey Graham? 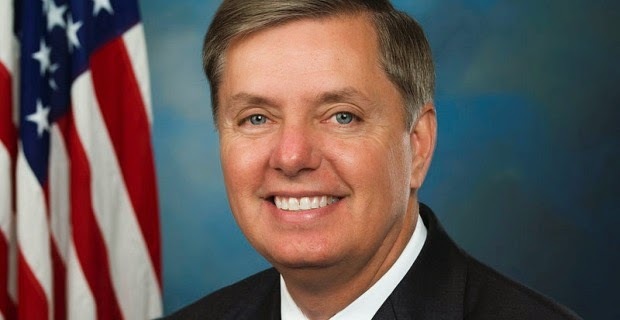 Are most US politicians douchebags, especially Lindsey Graham? Lindsey Graham, ugly mug photo stolen [from here]. Prison Planet post called, "Lindsey Graham Meets With Terrorist, Threatens to Overthrow U.S. Government". Democrats and Republicans, mostly both want more offensive spending to attack other countries to benefit billionaires, international central bankers including the Federal Reserve System which isn't federal or a bank, and corporate organized crime, not us. Please check out more videos on this channel, or on my blog. Disclaimer: I post Alex Jones Infowars videos (this isn't one), RT America, Algezeera (sp? ), mainstream media (even though I hate them), and I'm not religious from age 3 or 4 because my own father started beating me and telling me I belonged punished in the basement, to not be around regular people because my mother is short, annoying and wishy-washy like her (she was so mentally abused by my father that she did not come out of her shell until after the divorce), and I was going to be too short to play football, or basketball, and I was too annoying to be around other people, and he'd punch me, or kick me, or say incredibly cruel things when no one else was around ... so, I didn't believe there was a Jesus, or a God, as religious propagandists taught, if I had such a complete douchebag, Monsanto Executive, for a father. Clip from the Wednesday, March 11th 2015 edition of The Kyle Kulinski Show, which airs live on Blog Talk Radio and Secular Talk Radio monday - friday 4-6pm Eastern. Interesting comment just placed in [this Stark Raving Viking blog post] on the Sandy Hoax Event, Newtown, Connecticut. The lying Connecticut State Police mouthpiece, and brutality and crooked courts enabler, Paul Vance, is blasted. Connecticut is about dismantling the US Constitution and confiscation legal firearms from honest US taxpayers. Let's improve the world, prosecute Connecticut Supreme Court Justice Chase T. Rogers for crimes against humanity, [post].